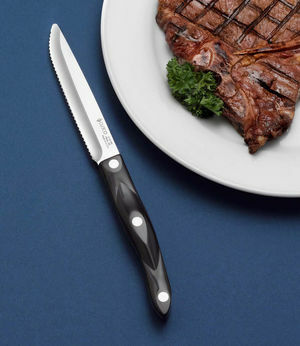 Bestseller $72 Cutcos take on the Texas steakhouse knife. Impressive in size and heft and a substantial knife at mealtime. Bigger and bolder than a Table Knife. 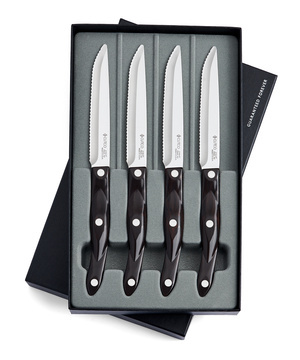 Effortlessly cut through the thickest steaks and other meats. 4-7/8" Double-D®-edge blade.